From Scotland, the majority of those surveyed also believed that fish are intelligent (56%), and that they experience positive (54%) and negative (53%) emotions. 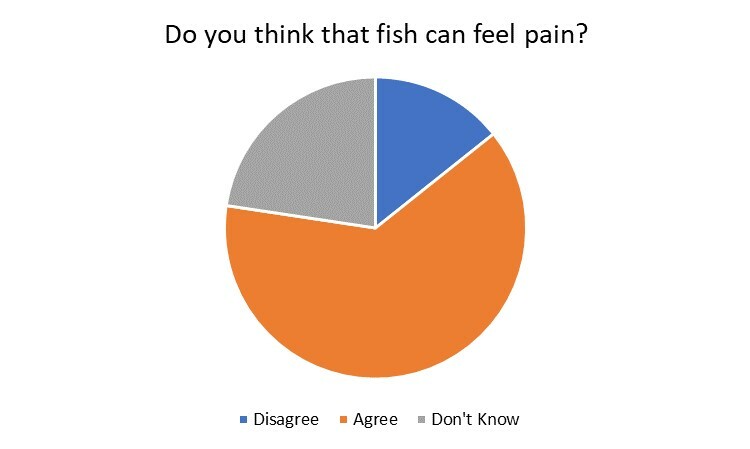 In the UK, the same trend can be seen, with 57% of respondents stating that they believe fish are intelligent, and 51% and 54% believe that fish are capable of experiencing positive, and negative emotions, respectively. This is an interesting finding, as fish farmed in Scotland (and the UK) are not covered by the Welfare of Farmed Animals Regulations, that terrestrial farmed animals are afforded. This means that currently, farmed fish in the UK are not protected to the same extent as the welfare of other animals we eat. And as well as this, the majority in Scotland (79%), and the UK (76%), want to see the welfare of salmon to be better protected than it is now. 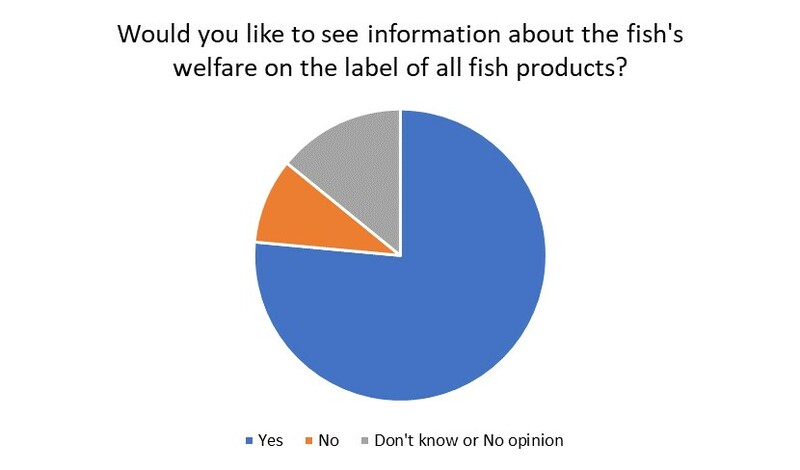 From a consumer perspective, the majority of respondents in Scotland (77%) and the UK (75%) would like to see information about fish welfare on the label of fish products. And most in Scotland (74%), and the UK (64%) believe that, if a farmed fish product is marketed as being “sustainable” it should mean that the fish was kept in conditions that allowed it to exhibit natural behaviours. Do you agree or disagree that fish are intelligent, and capable of feeling pain and suffering? Let us know in the comment section of this blog! And if you would like to see fish welfare better safeguarded in Scotland then check out our latest campaign for a moratorium on expansion of the salmon farming industry in Scotland, until fish welfare is better protected. 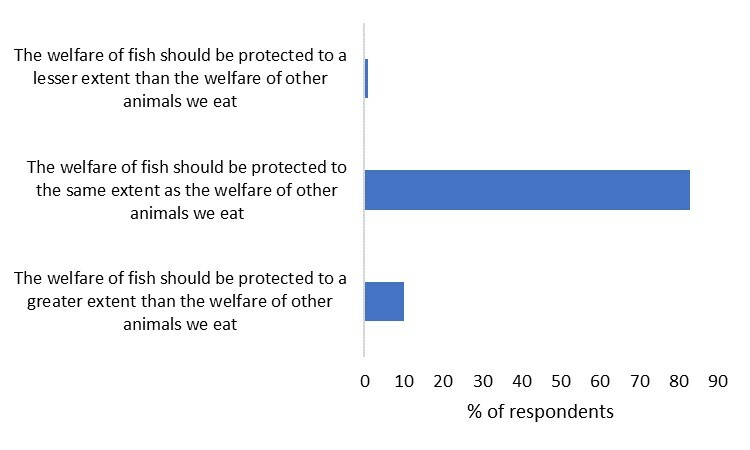 This survey was commissioned jointly by Eurogroup for Animals and Compassion in World Farming, and conducted by ComRes. Interviews were carried out online between 30thApril and 8th May 2018. There were 1,000 respondents, representative of the adult populations, in each of nine EU countries. The data used in this blog represents survey results from 1,0003 people from the UK, and 86 people from Scotland. As only 86 people were surveyed from Scotland, these findings are indicative of the general population, and not representative.